There are thousands of dog breeds throughout the world, some feared and considered dangerous. So before you adopt or purchase a dog for your family, be sure it isn’t on this list of banned dogs in Minnesota. Well look at this beautiful black girl Betty! We are proud to say Beautiful Betty is DDG’s DOTM for May 2016. Lets learn a little bit more about this beauty. So you’re planning a trip and taking your dog with you. If you’re not using your own mode of tranport you’ll most likely use a taxi service like Uber or Lyft. Here’s where it may get tricky when traveling with your dog. Our dog’s, our best friends, our little buddies who are there for us when we need someone to talk with and who’s love knows no bounds. These are the DDG top 5 reasons why owning a dog is best. 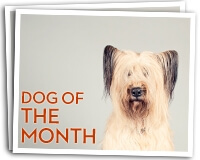 We love when we get to announce our Dog of the Month. This month is a special dog who we see quite often and is quite the character.